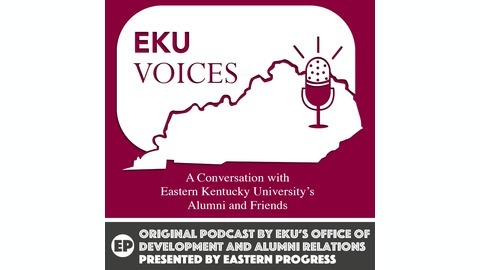 Hear Eastern Kentucky University’s Alumni and Friends tell their EKU stories on this podcast hosted by Carrie and Brady from the Office of Development and Alumni Relations. 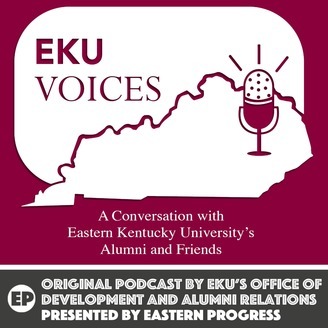 In this episode Barbara Kent joins the conversation to discuss her 10 year career in the military, working in the Army’s JAG office and the path that ultimately led her to EKU. She talks about what it’s like to be a nontraditional student taking classes in a traditional college setting and how EKU helped her not only graduate with a degree in psychology, but also set her on the path to become the Director of Military and Veteran Affairs at the University.